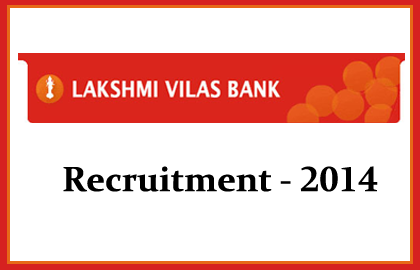 Lakshmi Vilas Bank has announced opening for the post of Deputy Chief Financial Officer and Regional Head. Eligible candidates can apply for this post before 30/09/2014. More details regarding this recruitment were mentioned below. CA or Graduate/PG in Commerce, Taxation and Accounts, CAIIB will be added advantage. 10 years Experience in Banking. Apply Mode: Eligible candidates can apply by sending the relevant documents to the below address subscribing as “Applying for the post of Deputy Chief Financial Officer/ Regional Head”.